I first became aware of Quinn's Post whilst doing research on Samuel William HARRY whose life was detailed last year. You may read Samuel's story here. Samuel William Harry and Hugh Quinn were boyhood friends...pals in Charters Towers, Queensland. They had many common interests too. 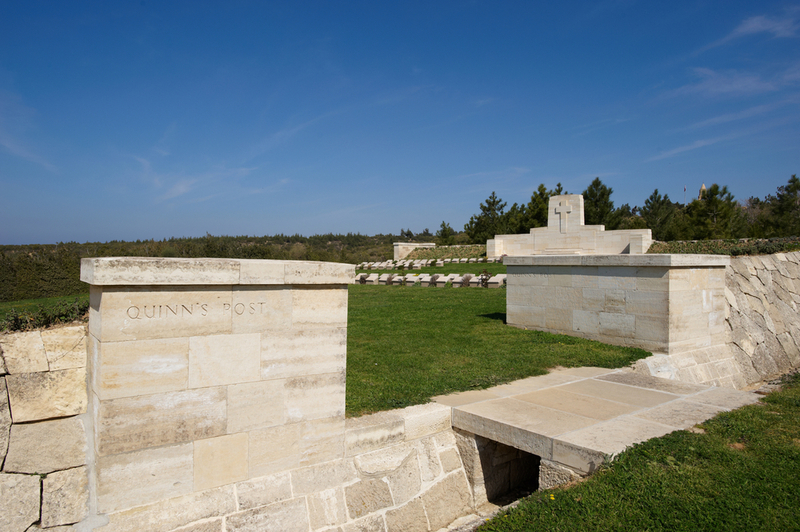 This is the story of Major Hugh Quinn - the man behind Quinn's Post Gallipoli. He started out in his working life by taking up a position in Messrs. Cummins and Campbell's office and worked himself up to head clerk. He became a prominent athlete and proved himself one of the best amateur boxers in North Queensland. He was full of energy, perseverance and initiative, a manly man, and had a host of admirers among the Charters Towers youth. 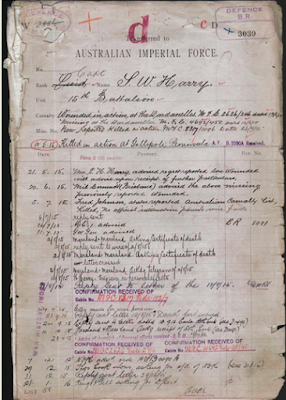 He followed up his profession of accountancy by qualifying for a membership in the North Queensland Institute of Accountants, and shortly afterwards opened up a business of his own in Townsville as accountant, auditor, and commission agent, and was on the high road to commercial success. He had become the head clerk at Messrs. Cummins and Campbell’s when he resigned, to start his own business as a commission agent in Townsville, where he was prospering when the war broke out. Holding a lieutenancy in the Kennedy Regiment, he closed his business promptly, and when the regiment was mobilised and sent to Thursday Island, he accompanied them. 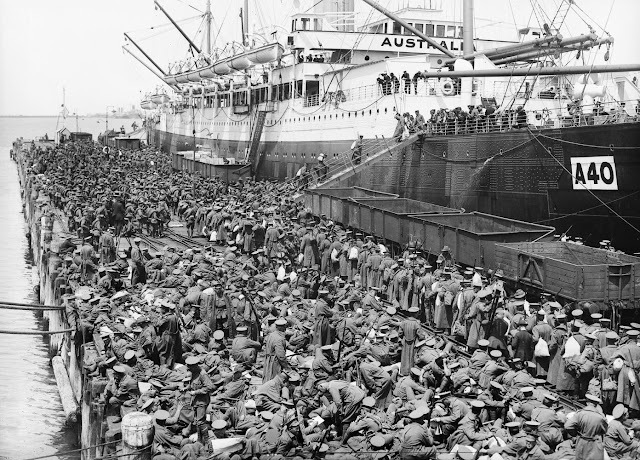 When volunteers were called for service in the Pacific, he was amongst them, and on the return of the Kanowna to Townsville, he, with others of North Queensland's best, offered for services abroad and was eagerly accepted. Anyone who knew Hughie personally would expect him to answer the call of the country and Empire, as soon as he was relieved from the garrison duty on Thursday Inland he was off. As he had held a captain's commission in the Kennedy Regiment he received the command of the 2nd Section of the Australian Expeditionary Force which left Townsville for the training camp at Enoggera in 1914. 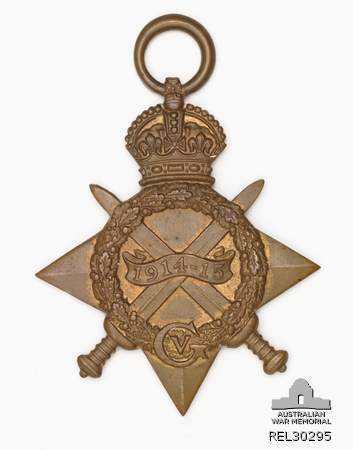 That he displayed the ability to lead men and had the courage of the true soldier is evidenced by his rapid promotion on the field to the rank of major. He was 27 years of age he was a capable, cool, and fearless officer, careful of the comfort of his men, a soldier to the finger-tips, full of the Irish fighting spirit. He was a worthy son of a fighting race, the traditions of which, as his letters to his mother show, he was proud of the opportunity to uphold. Irlsh-Australians in reading these letters, so full of total devotion, will rejoice in his deeds, and cherish his memory. As he was promoted to the rank of major on the battlefield had he lived would have won much higher distinctions. Major Hugh Quinn was also one of Queensland’s leading athletes and was a champion amateur boxer. 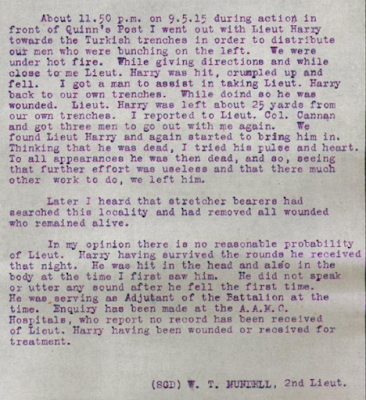 DEATH OF MAJOR HUGH QUINN. would have given greater proof of the undoubted ability he possessed as a leader of men. He certainly gave great promise of attaining to high place in military life. He was a popular as well as a capable officer and the loss of such men as Hughie Quinn becomes a distinct loss to the Empire, All who came in contact with Hughie as a boy and a man fully appreciated his worth. Source: "UNION OF QUINN’ S POST" Daily Post (Hobart, Tas. : 1908 - 1918) 15 November 1915: 7. Web. 24 Apr 2016 . 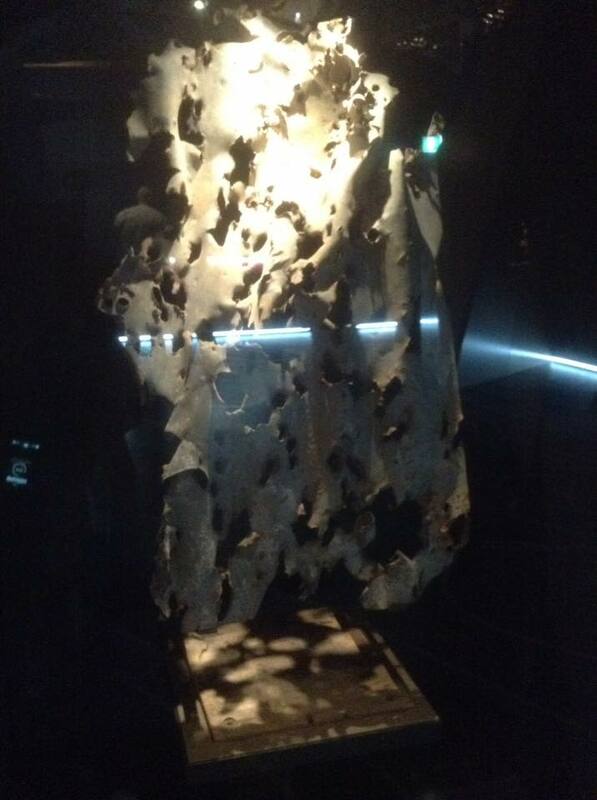 Visting the Spirit of Anzac in February 2016 I was shocked when I came upon an artifact retreived from Quinn's Post. 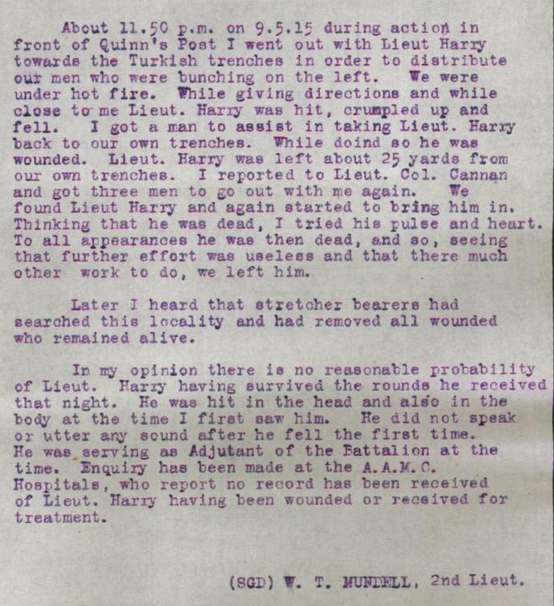 It was a Corrugated Iron Trench Cover (Quinn's Post). The description was as follows: Although this corrugated iron cover was overlaid with a layer of earth and sandbags, it was peppered with shrapnel and gunshot holes after the position was subjected to intense fire. 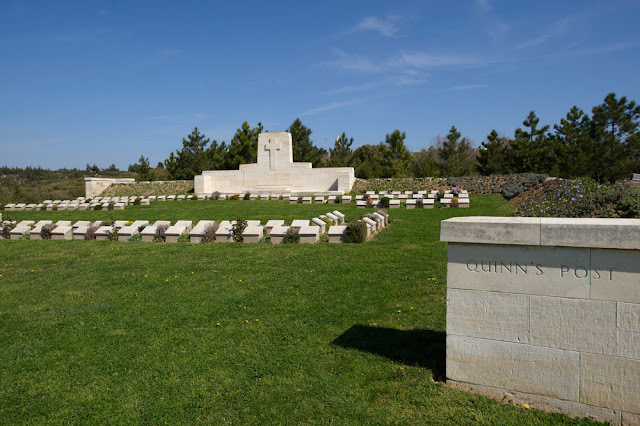 Quinn's Post today is one of the 25 Northern War Cemeteries and one of the 14 battlefield sites that can be visited today. I'm honoured to be able to commemerate Major Hugh Quinn. He left behind his widowed mother Mary Jane Quinn nee Irvine and his brother Frank (Francis Arthur Quinn). 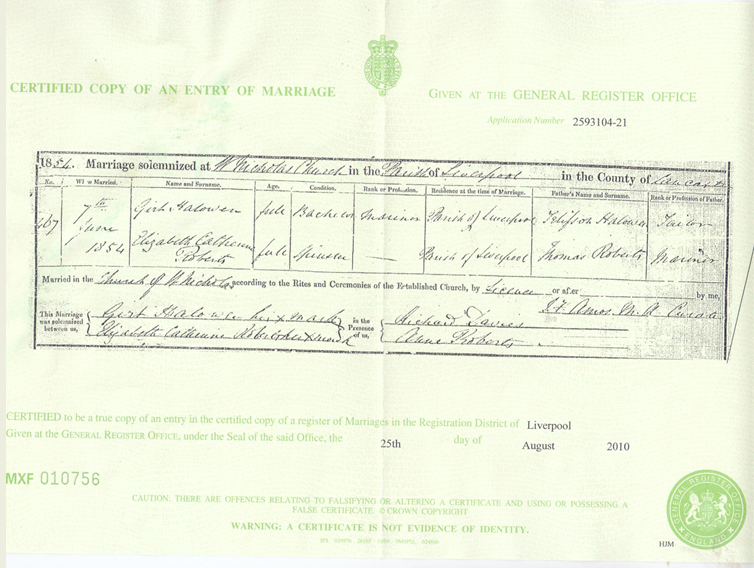 Frank married in 1916 and in 1918 his son was born and yes he was named Hugh Francis Quinn. Every ANZAC Day there would be a ceremony held at the State School I attended. I would hear about Simpson and his Donkey and his gallant efforts to rescue the wounded soldiers fighting on the narrow peninsula, then known as the Dardanelles. (From, Wikipedia…The Dardanelles, formerly known as Hellespont, is a narrow strait in northwestern Turkey connecting the Aegean Sea to the Sea of Marmara. It is one of the Turkish Straits, along with its counterpart, the Bosporus.) I always felt I had a connection…but to my knowledge, as a 7/8 yr old, I didn’t know of any family member, nor extended family member who had fought at Gallipoli. Then in my early 20’s a cousin printed up a family history of the HARRY family. In that, there was mention of a Samuel William Harry who had died in Gallipoli…I was hooked. I had to find out EVERYTHING about Samuel William HARRY, who was my first cousin 4Xremoved. This is what Peter Reid wrote in the Harry Family History: “Samuel is known to have come to Australia from Cornwall, England and settled in Queensland, where his descendants still reside. A son of Samuel’s, Captain Samuel William HARRY, was killed in action in the First World War.” It was not a lot to go on, but it was all I had at the time and it was going to be many years until I unraveled the whole story, this is what I discovered. Samuel William HARRY was the youngest child of eight from Samuel William HARRY & Sarah Hannah PORRITT. He was born in Pennsylvania, USA on Thursday 09 Feb 1882. Samuel William HARRY Snr, was a miner, as a skilled miner he traveled the world along with his family seeking work during the 19th Century, hence the children were born in England, Ireland and the USA. The family appears in the UK Census of 1851, 1861, 1871 and the US Census of 1880, before Samuel William HARRY jnr was born. Samuel William HARRY, along with his parents & some siblings, moved to Charters Towers when he was aged 7yrs in 1889. He was educated at the Boys’ Central State School. He was already a member of the command in the local Senior Cadets at the outbreak of war, he had served for four years as a Commissioned Officer in 2nd Infantry. 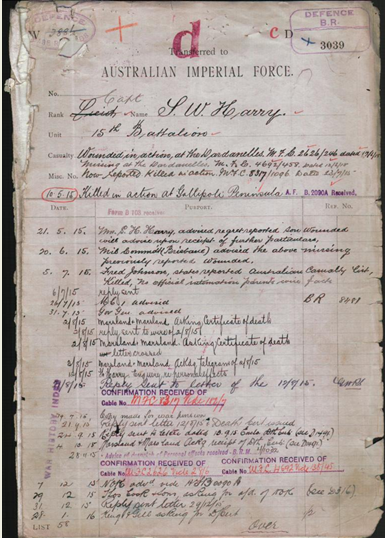 Samuel William Harry jnr was mobilised for service in the war in August 1914. He embarked in Cairns, Queensland on the 8th August 1914, for Thursday Island, (War Station) Garrison Duty. 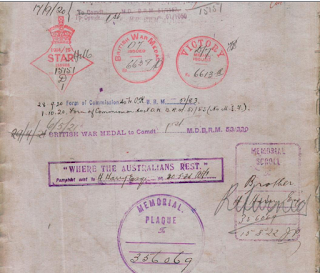 Samuel then went on to enlist for service outside Australia on the 14th August 1914. 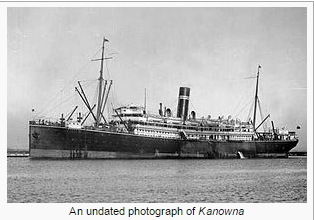 He re-embarked on the “Kanonwa” to take part in the capture of German New Guinea. 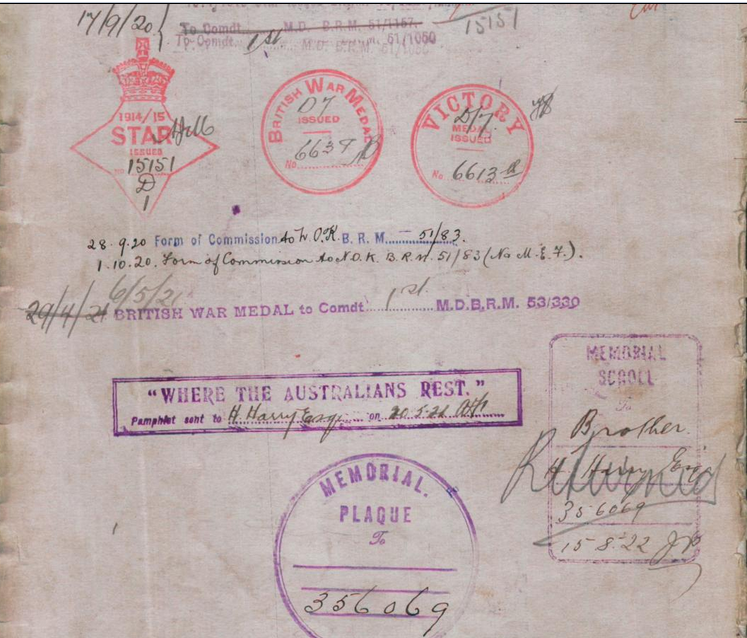 Taken on the strength of Australian Naval and Military Expeditionary Force (AN&MEF) vide routine order number 1 dated 9th September 1914. He returned to Townsville on the 18th September 1914 on account of the trouble caused by the firemen on the troop ship. Samuel William HARRY did not participate in the capture of German New Guinea. He was discharged on the 18th September 1914 and classified as being eligible for the British War Medal vide BRM 52/572, his rank at this time was that of a 2nd Lieutenant. Previous military service 4 years commissioned rank in 2nd Infantry (Kennedy Regt). 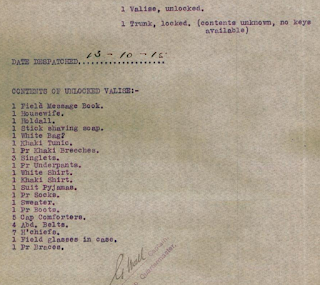 Other details from Roll of Honour Circular ‘Sent to Thursday Island at outbreak of war, and then volunteered for service with AN&MEF on 16th August, 1914. 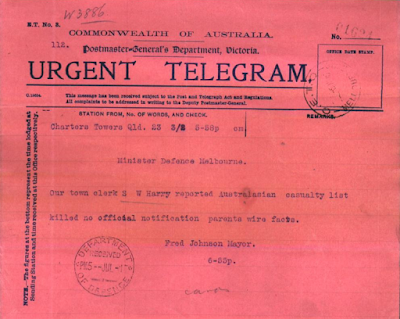 Returned to Townsville on “Kenowna” owing to trouble with fireman, 18th September, 1914. Joined AIF on 28th September, 1914. 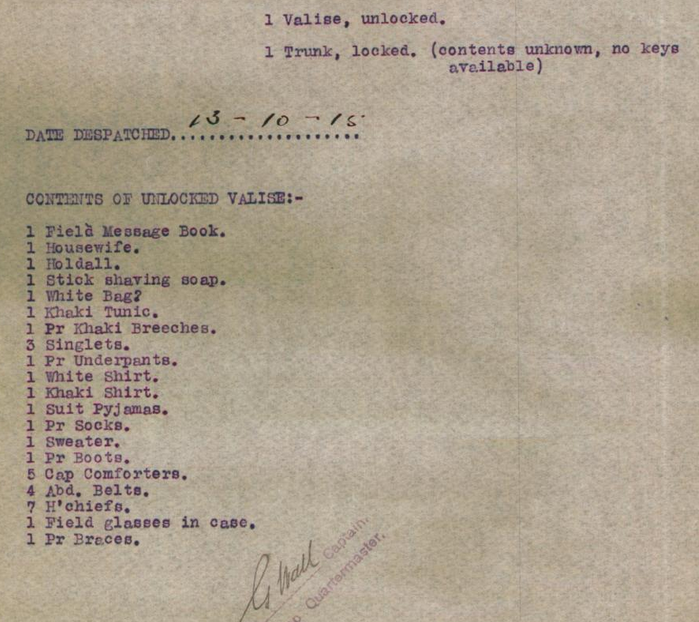 Embarked with 15th Battalion on 22nd December, 1914.’ Details from Brother. ‘Although gallant men continually risked their lives to ensure that headquarters should be kept fully informed, the intelligence which reached Cannan was disconnected and fragmentary. Eventually, Captain Harry, acting adjutant of the 15th, volunteered to bring news of each party. After reporting that all was well with the left and right, he again went forward to find Frank Armstrong of the centre party. He reached the trench, but was never seen again.’ (Bean V2 106) (Chataway p.42). 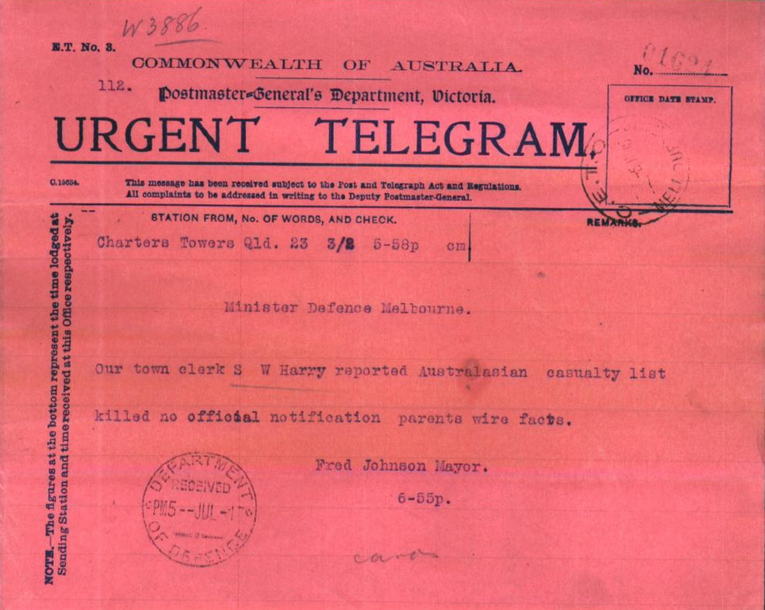 A letter from Lt. Harry appeared in the North Queensland Register 5 July 1915 p29. ‘Word has been received by Alderman J.T. 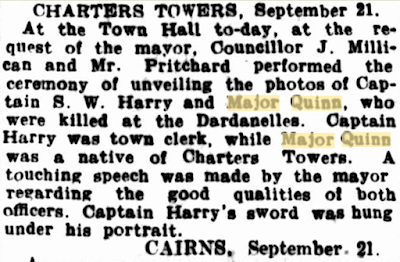 Harry (of Charters Towers) from Major R.H. Carter (at Captain Harry’s request in case of anything happening to him) stating that Captain Harry had died at his post, having gone over with a party when they charged the enemy’s trenches.’ (North Queensland Register 26 July 1915 p69). Samuel William Harry jnr was 5’5″ tall and in good physical health. 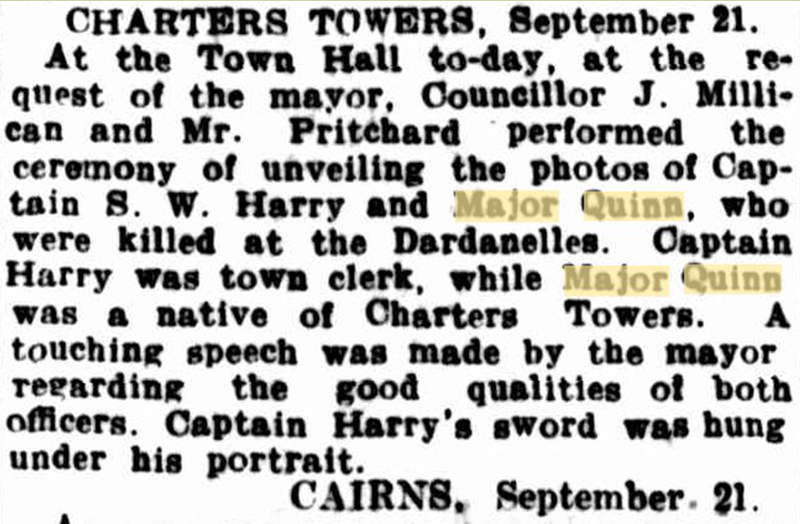 (Brisbane Courier 22 Sept 1915 p7). 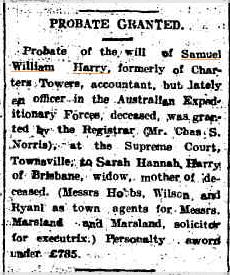 Probate of the will of Samuel William Harry, formerly of Charters Towers, accountant, but lately an officer in the Australian Expeditionary Forces, deceased, was granted by the Registrar (Mr. Chas.S.Norris), at the Supreme Court, Townsville, to Sarah Hannah Harry of Brisbane, widow, mother of deceased. (Messrs Hobbs, Wilson, and Ryan) as town agents for Messrs. Marsland and Marsland, solicitor for executrix) Personalty sworn under £785. Eventually, the effects of Samuel William Harry were returned to his mother, the receipt of these goods was signed for by her Daughter in law. Personal effects of Samuel William Harry. Housewife = Housewife, a small canvas roll containing needle, thread, buttons etc, used for the personal maintenance of a soldier's kit. 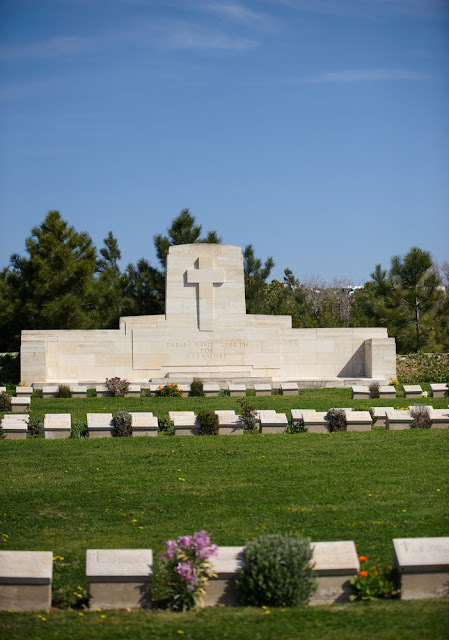 I’m very proud to tell the story of Samuel William Harry, my Gallipoli Hero. Fiona Tellesson – First Cousin 4XRemoved.